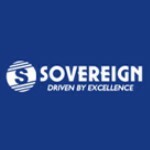 Sovereign Developers and Infrastructure Limited (SDIL) commenced its operations in 2005, and within a short span, has achieved extraordinary success in the real estate arena with successful projects in several sectors including hospitality, residential and commercial sectors. Initiated with the principle, “Driven by Excellence”, and with the vision to combine high standards of technical knowledge and innovative concepts, SDIL stands prominent among the top players in the industry. Founders and current directors, Prakaash Kumar Singh and Deepakk Kumar, with their outstanding leadership, made SDIL an inevitable presence in Bangalore’s realty industry and is in plans to go international in the immediate future. Sovereign Developers considers customers as most valuable asset, and always take extra measures to meet their expectations in terms of quality assurance and project completion.